Experiments in Opera and Contemporaneous present the premiere of Chunky in Heat an opera based on a libretto by celebrated author A. M. Homes. Chunky in Heat tells the story of a young girl who comes of age poolside at her family’s home in the canyons of Los Angeles. Against this backdrop of privilege, she struggles to understand her place in her family and the world. 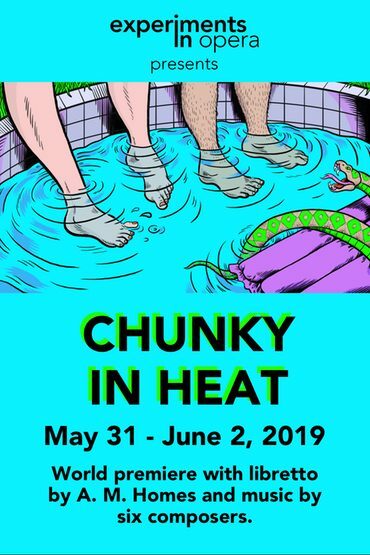 Chunky in Heat features music by Jason Cady, Paula Matthusen, Erin Rogers, Aaron Siegel, Shelley Washington and Matthew Welch.